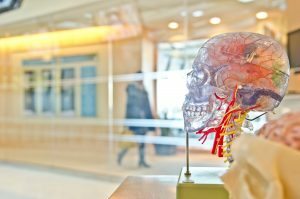 Your Brain: A Bad Idea? A great way to end this three-part series on creativity and how your brain works is to examine the concept of the bad idea. While certain infamous exploits have truly been bad ideas, when it comes to creativity, bad ideas are worthwhile. Remember that in parts one and two we learned to 1. relax and 2. to put old ideas into a new context. Experts in creativity suggest that point number 3 is to let bad ideas come up without immediately dismissing them. If you allow a seemingly bad idea to travel through your mind, it will encounter new contexts. How often have you brainstormed with others and someone tosses up a bad idea and then someone says, “hey, wait. That might not be so bad. What if we...”? Bad ideas are a necessary aspect of brainstorming because given the right context, the idea really wasn’t bad in the first place. Getting along with your colleagues involves being considerate, and is an important part of a great work environment. Joyfully, here at WorkIt we go a step or two further. Strive to get to know a couple of things about what each colleague values, what he or she works on, and what their pet peeves are. If you know about the pet peeve of your colleague, you can keep from doing that one thing that drives them crazy or makes them fume. Always, an apology goes a long way when we have offended or bugged someone. On the standing desks at WorkIt, you will find a small yellow Knock-Knock memo pad. While many of the choices to checkmark are light-hearted, there is value just in the fact that you took the time to fill out the memo. The colleague or partner will know you were thinking about them, and considering your behavior toward them. Or near them. Check it out. And remember to be kind, and aware. 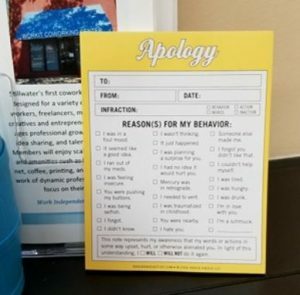 That way, you might not ever need the apology memo! Office Supplies: A Note by Any Other Name? That great staple from the past—the Post-it note—falls short when you need to make plans or write down an idea that you don’t want to lose. The ultimate note-taker needs tools for the 21st century, and here is a mention and a review of two useful products. The editor has not tried AquaNotes, but it sounds promising. The webpage includes a video link so the potential customer can see how it works before making an order. AquaNotes waterproof notepad is also available through that amazing supply store in the jungle. This editor’s tried and true brand of notepad is by Knock-Knock®; first, their large pads have a hard back. This is essential to serious planning people. An added bonus, Knock-Knock pads are hilariously inspiring. With sections, there is plenty of space to write, and the section headings help a person organize their to-do lists. Knock-Knock has about twenty pad choices for different occasions. To get motivated, choose “Let’s Do This.” The hard-back pad is broken up into sections including “gotta do,” “oughta do,” and “never, ever do.” The pad features a place to put your pen or pencil, and a bit of blank space for doodling. Get it? Doodling? Ever-useful is Knock-Knock’s “Make a Decision” notepad. There is a spot for listing one’s dilemma, and suggested due dates for having the dilemma resolved. There are plus and minus columns, and a place to compare your intuitive answer with a rational conclusion. Once the decision is made, the bottom of the notepad page has a place to list your “next steps” so that your decision doesn’t remain simply a dream. Whatever your favorite, the perfect-for-you notepad can make or break your productivity. Don’t hesitate to try out lots of notepads and notebooks until you find what keeps you organized and feeling in charge of your life. Office supplies are available in stationary store, office stores, or you can browse through that amazing supply store in the jungle. Happy hunting! 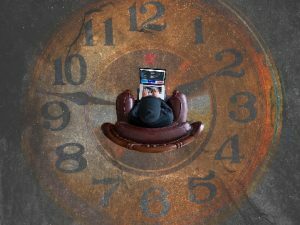 Part one in this series of posts on how your brain works told us that doing a mindless activity gives the brain a chance to put old ideas into new contexts. Let’s look at why this happens. First, everyone is creative! 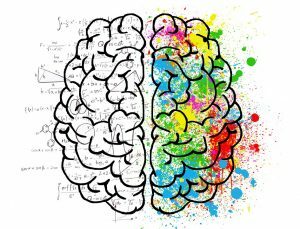 The left brain/right brain concept, while valid in some ways, gave rise to the idea that only a certain side of our brain held the secret to creative thinking—not true. When you concentrate, your brain is so focused on the task at hand that new ideas will rarely come to you during this time. The firing neurons are rigidly hitting specific, predictable targets. This is part of why “practice makes perfect.” New ideas happen to everyone, but not when you’re trying. Have you ever solved a problem in the shower? Showering is relaxing for most people, so your brain is then able to make new connections. Second, relax! Both sides of your brain work together while you are relaxing; this means that giggling with colleagues, taking a walk, catching a yo-yo, and other types of easy “play” give your brain time to wander. To help prevent the loss of new ideas, keep a notebook or recording device handy. Speak the new idea into your phone’s voice recorder or jot it down on a waterproof notepad. 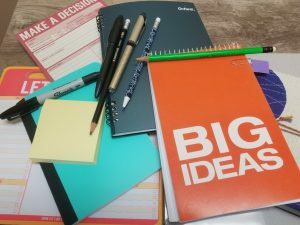 Find out where to purchase a waterproof notepad, along with a review of other office supplies, in your WorkIT newsletter. And don’t forget to play!